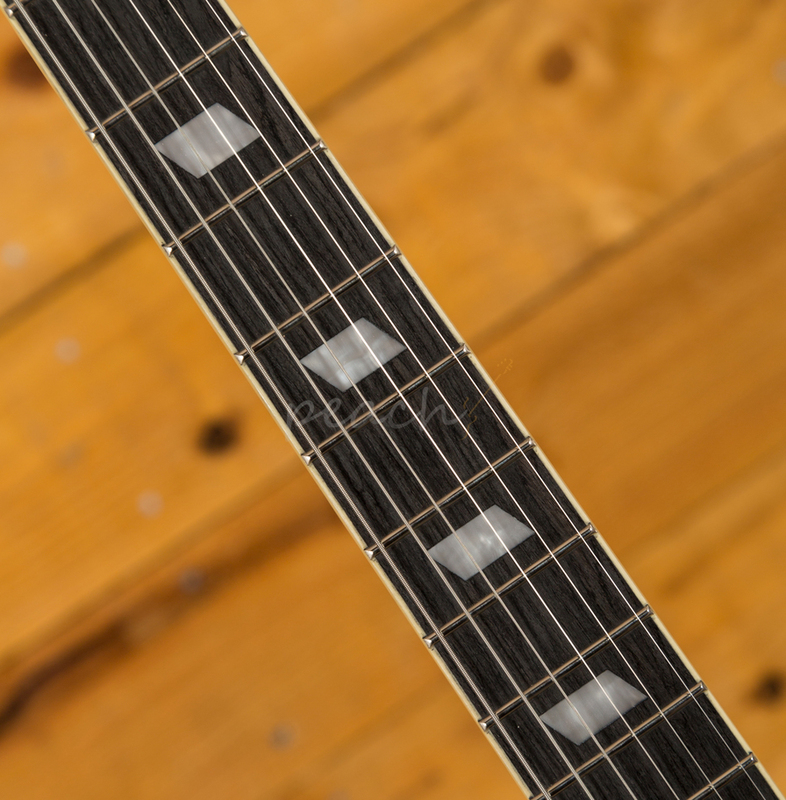 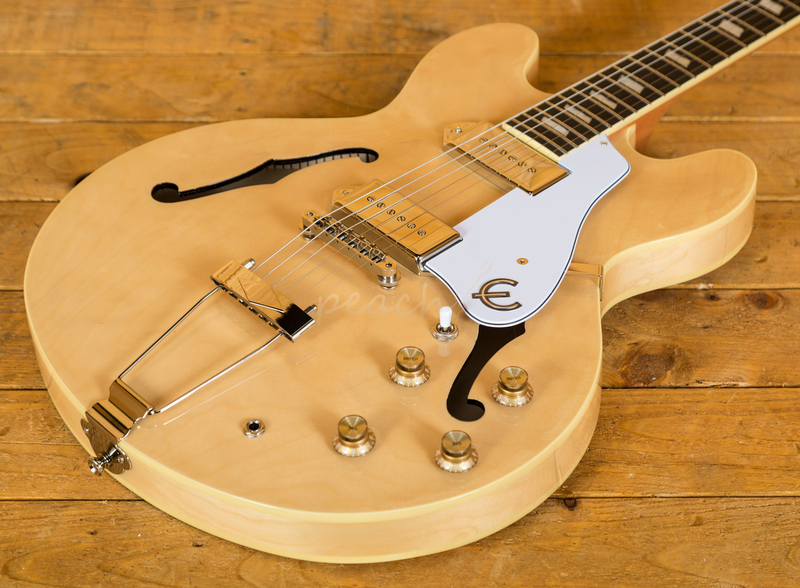 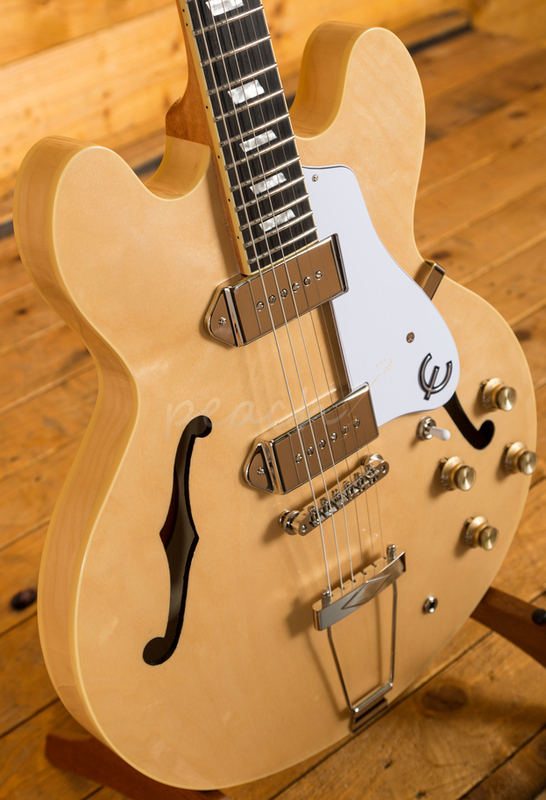 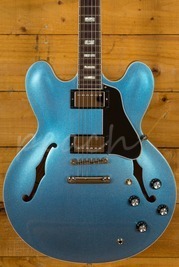 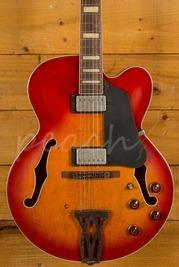 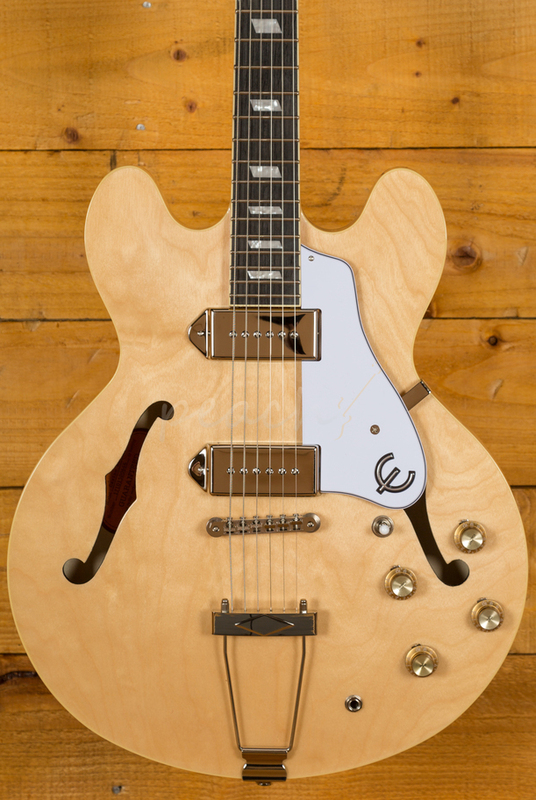 Ever since the Beatles purchased three Casinos back in 1964, this hollow Epi model has taken on a life of its own. 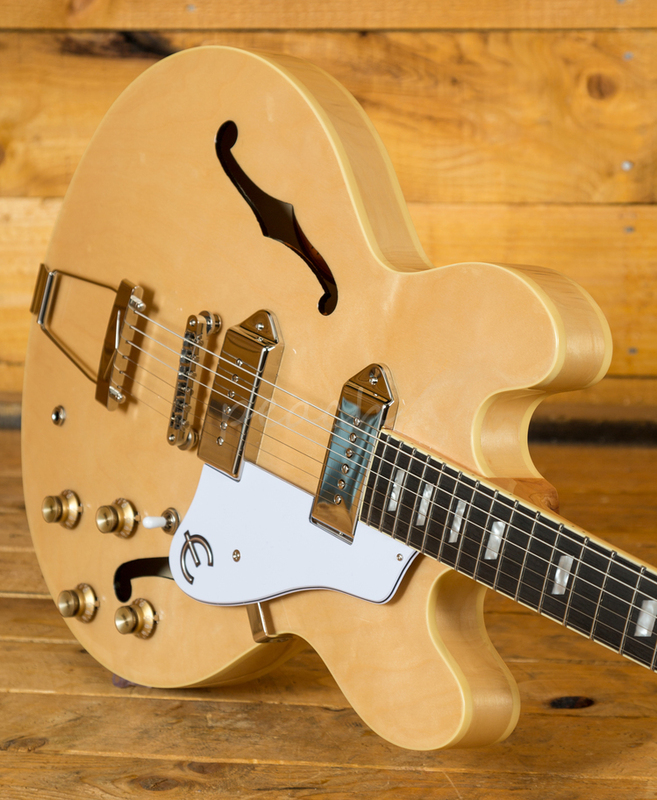 Equipped with two vintage P-90 single-coil pickups, the Casino still delivers those amazing tones at a price every player can afford. 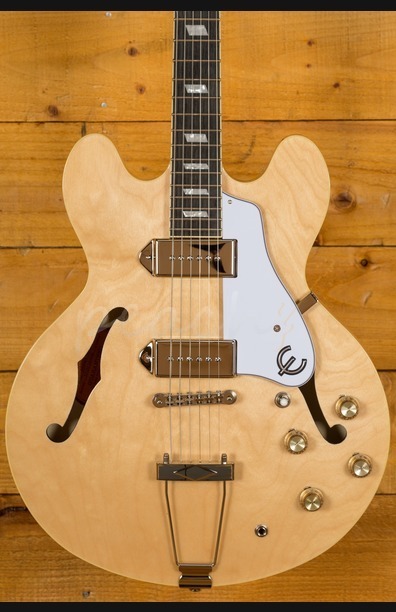 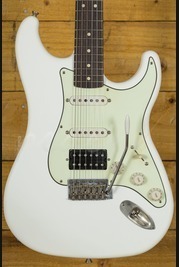 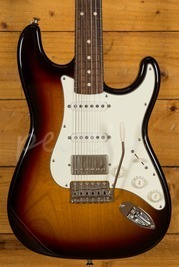 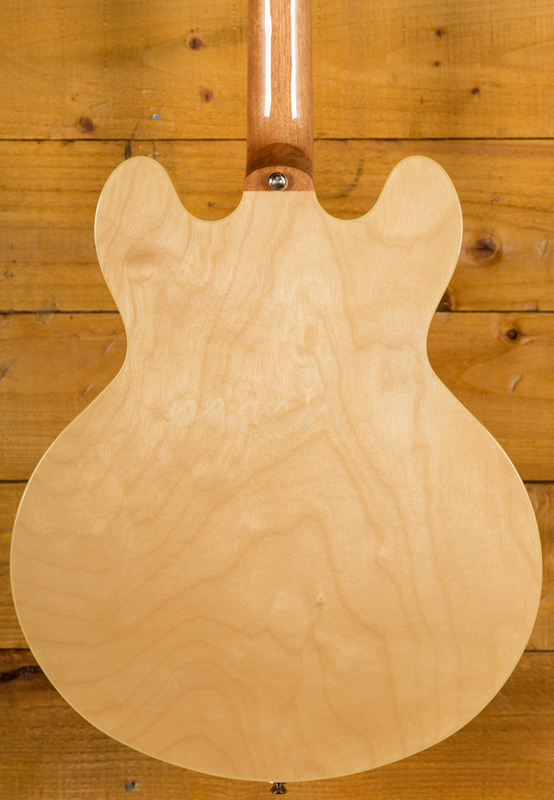 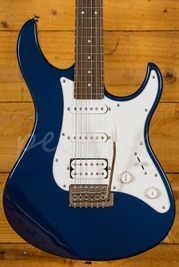 Made with a select maple body and top with F-holes, trapeze bridge, mahogany neck (24.75" scale), neck and body binding, two volume and two tone controls, and parallelogram inlays.